← We Are Not Criminals – National Day of Action Update! On February 6th, join AIDS ACTION NOW! 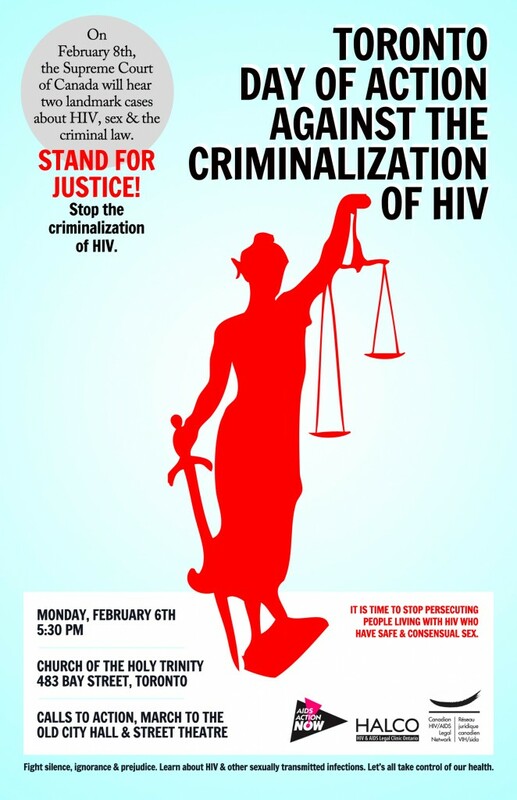 and our allies as we stand to stop the further criminalization of those living with HIV. With Our Lady of (in)justice who will lead a procession up Bay St. to the front of old City Hall starting at 6:30. This entry was posted in Action, Criminalization and tagged Action, Criminalization, events, Harper, stigma, supreme court. Bookmark the permalink.